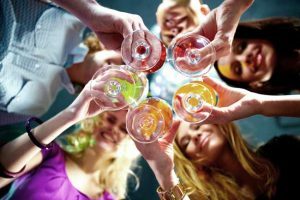 What are the Risk Factors for Alcohol and Drug Addictions? Recent advances in the medical industry have allowed us to prove once and for all that drug addiction is in fact a disease. It is a chronic neurological illness that is characterised by a poor dopamine control system in the brain. People who already have this predisposition in their brain will actively search for something that will give them a greater dopamine rush, to attain the feeling of satisfaction that most people with normal dopamine control will easily find through primal instincts such as eating or drinking. Once the brain has become accustomed to the dopamine levels released by the consumption of drugs, it becomes harder and harder to find the same levels of pleasure in other areas of the user’s everyday life. Cocaine and methamphetamines are particularly effective at fooling our brains into releasing inordinate amounts of dopamine, and this makes them exceptionally sought after drugs for people who have low dopamine control in their brains. That being said; poor neurological functions are not the sole cause of drug addiction, and many people who have this predisposition are unlikely to ever fall into drug and alcohol abuse. There are many different factors that play into the causes of addiction, and often it takes a combination of many of these factors to lead to drug addiction. Drug addiction is not typically the result of just one problem or issue in the user’s life, it can instead be developed from a number of different situations and factors that addicts may have been exposed to. There are three main areas of risk factors that contribute to drug addiction, and these include biological predispositions, environmental factors and influences, as well as drug choice and delivery method. We will discuss these three risk factors for drug addiction in more detail below. Drug addiction is almost 50% reliant on genes passed from one generation to another. In fact, children of addicts are approximately eight times more likely to become addicts themselves, than children who come from a family free of drug or alcohol addiction. This does not necessarily mean that every family who has an addict in their family tree will become one, but just that they are more susceptible to the risks of drug addiction than others. Mental illness. People who suffer from mental illnesses such as depression, PTSD, ADHD and bipolar are more likely to develop a substance abuse disorder. Drugs and alcohol are often used as a crutch by people with mental illnesses, as a coping mechanism for the problems that they may experience because of their disorder. This reliance on drugs or alcohol can frequently result in substance addiction. This is still a rather controversial topic, but studies done at addiction treatment centres show that addictioncan be gender-based, and there are a larger number of drug and alcohol addicts that are male rather than female. Home life can be one of the biggest risk factors that can result in drug addiction. Statistics suggest that children who come from abusive or uncaring households are much more likely to become addicts. Drugs and alcohol are used as an emotional substitute for their unhappiness at home. 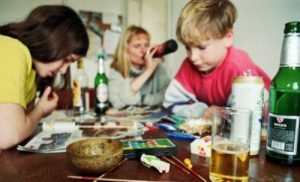 As well, a household in which children are frequently exposed to drugs or alcohol is very influential on the possible development of substance abuse disorders or alcohol addiction. Age. Studies have shown that the younger you are when you are exposed to drugs or alcohol, the more likely you are to develop an addiction. When the brain is still growing and developing at an adolescent age, drug use at this time can change the ways in which the brain forms and functions – making addiction more likely later in life. Peer pressure is most likely to take place during teenage years when people are vulnerable. The pressure to become socially accepted and liked by peers is one of the most common reasons for an addict to have tried drugs or alcohol in the first place. Addicts are commonly characterised as having poor coping skills, and saying no to their friends who are asking them to try drugs is often extremely difficult. Thus, they will often partake just to make others happy and to feel as if they fit in somewhere. Poor coping skills can also lead to the inability to handle day-to-day stressors. High levels of stress may drive people to use drugs and alcohol as a means to ‘escape’, and as a way to get by in everyday life. This is particularly true for jobs that come with a lot of pressure and stress, such as the stock exchange or banking sectors. Many professionals in these positions turn to drugs as a way to deal with the pressure and long hours. Addiction can be a result of the kind of drugs that the addict first tried or started to use. 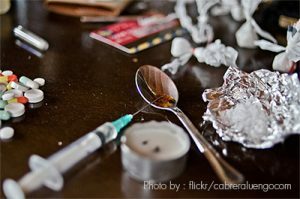 Drugs such as heroin and crack are extremely addictive, and someone who uses these kinds of drugs – compared to lower class drugs such as marijuana – is more likely to develop drug dependence down the line. Drug administration. Drug administration is the way in which the drug is used. Drugs that are injected or smoked have a much faster effect than something eaten, and although the high is intense, it does not last as long as many other ways. So the user will need to use the drug more often to keep their high, and this is a path that easily leads to addiction. There is no one thing that predominantly leads to drug or alcohol addiction, and most of the time it is a combination of many of the factors above. Addiction is most definitely a disease, but it is also a result of a culmination of risks and factors that some people are exposed to, and the ways in which they are able to deal with these situations. For example, those with a history of heart disease in their family will adhere to a strict diet and exercise routine in order to decrease their chances of developing the same heart problems. For those with genetic or other risk factors for addiction present in their lives, it is important to understand what they are and take the care needed in order to decrease their chances of developing an addiction.